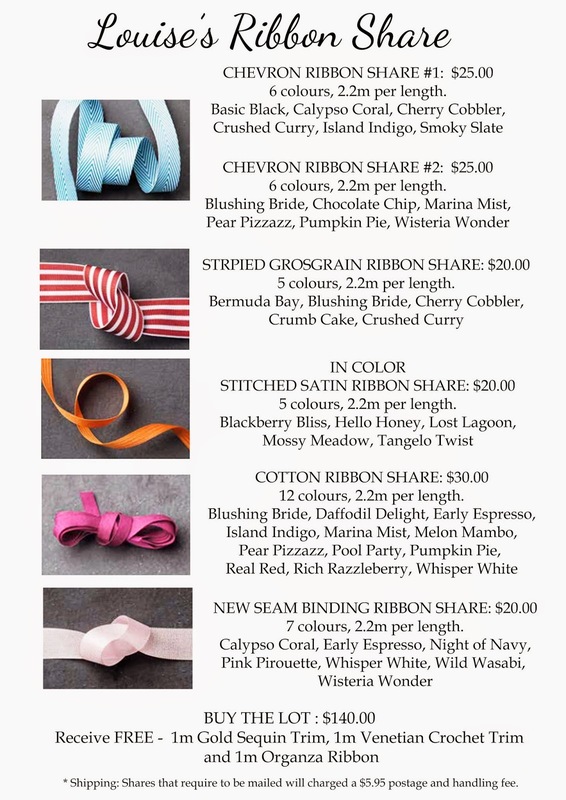 Join my current ribbon share and take advantage of getting your hands on some of the beautiful new ribbon from the 2014-2015 catalogue without breaking the budget. I have done the calculations and you would need to spend over $554.00 if you were to purchase all the rolls individually! This is open to all Australian residents including Stampin' Up! Demonstrators. Prices are subject to $5.95 postage and handling. The Chevron ribbon shares include the colours listed and will not be divided into different colour batches. You can order with me directly by sending me an email. recommend looking at the great romance poets for inspiration and perhaps even write a poem modelled on their style. The SECRET of Icebreaker Emails That Get a Response.